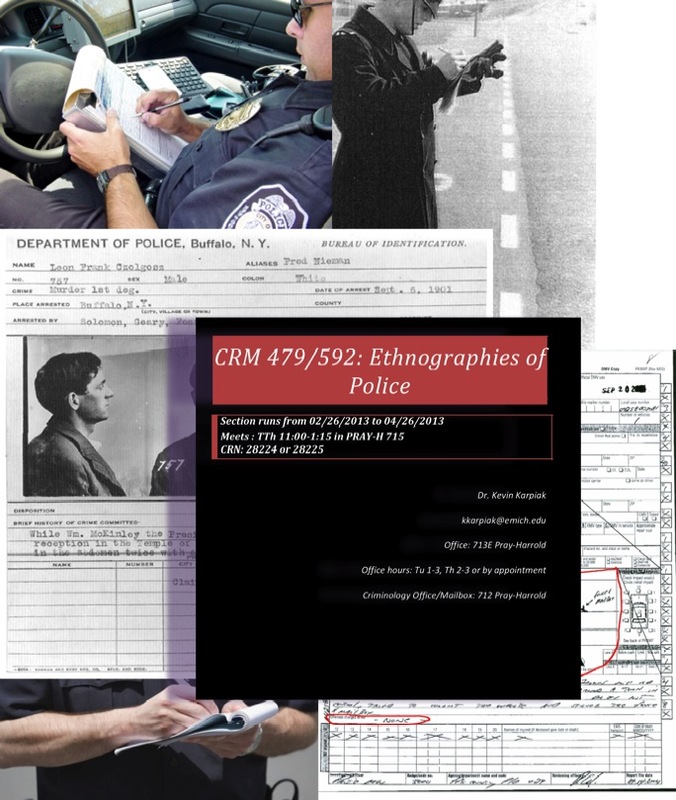 I’ve just uploaded a copy of the syllabus for a new class I’ll be teaching the second half of this semester, “Ethnographies of Police”. I’m pretty psyched about it. You can find a pdf version here, or go to the “Teaching” page of my blog and see it amongst the other syllabi uploaded there.